Welcome to the Women’s Ministries page. 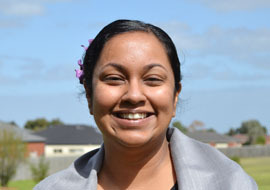 The United Pentecostal church of Lynbrook has an active and vibrant Women’s Ministries department. We provide an atmosphere of friendship and support for the women of this church and are looking to grow our involvement in the local community. The women of our church meet fortnightly in the mornings for prayer. 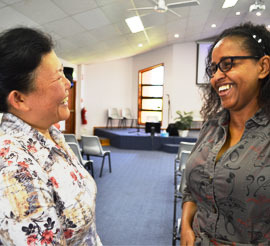 Women’s meetings are held at the church and our ladies are ministered to by both Australian and international speakers. Social gatherings are also part of our program and we have conducted a variety of activities from cake decorating classes to afternoon high tea. The National Women’s Ministries theme is ‘Women of the Word’. This theme comes from the books of Psalms, chapter 119, verse 133: ‘Direct my steps by Your word.’ We believe that the Bible is our love letter from God and we will continue to build our lives and our homes on a foundation of the Word. Our vision for Women’s Ministries is to grow in God, in relationship with one another and connection with the women of our area.